Every now and then, an online marketing program grabs my eye and is worth sharing. "The Secret Door," from window and door company Safestyle UK, is one such program. It is earning media and consumer attention not by begging for likes on Facebook but by giving them something to talk about. The concept is really quite simple--give people a door through which they pass to arrive at random and interesting places on earth, all thanks to Google Street View. The locations have been carefully curated to be interesting and invite exploration. Your experience will be different than mine, but I entered the Secret Door and found myself at a rave in Stockholm. Another click brought me to the floor of the ocean. Then I was standing in a comic book store. The experience invites engagement and makes it easy to share through social networks. So often, I hear from people who are struggling to make their brands talkable in the social era because their vertical or product is "boring." There are dozens of ways to do overcome this challenge and spark dialog, from making a difference in the community to taking a stand on an issue to developing bold products to empowering employees to creating engaging events to turning your brand over to your community. But don't overlook the old standby: Creativity. "The Secret Door" demonstrates that even a company in the relatively mundane category of home supplies can still become buzzworthy with a little creativity. "The Secret Door" succeeded in getting people talking quickly after launch. Within a day or two, the site had generated 350 tweets, over 1,500 Facebook Likes and over 250 Google +1's, and it is still trending upward thanks to articles in Venture Beat and Technorati. I will be curious to see if all this sharing amounts to additional business for Safestyle UK, but the links and traffic certainly are boosting the firm's SEO. Most brands and categories are more interesting and relevant to consumers' daily lives than a company that makes double-glazed windows. 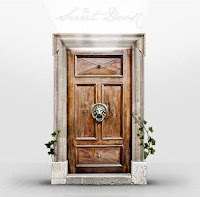 "The Secret Door" shows how to overcome attention challenges and create conversations by bringing a bit of creativity and furnishing a worthwhile experience with which consumers want to engage. Click below. Where will you end up?